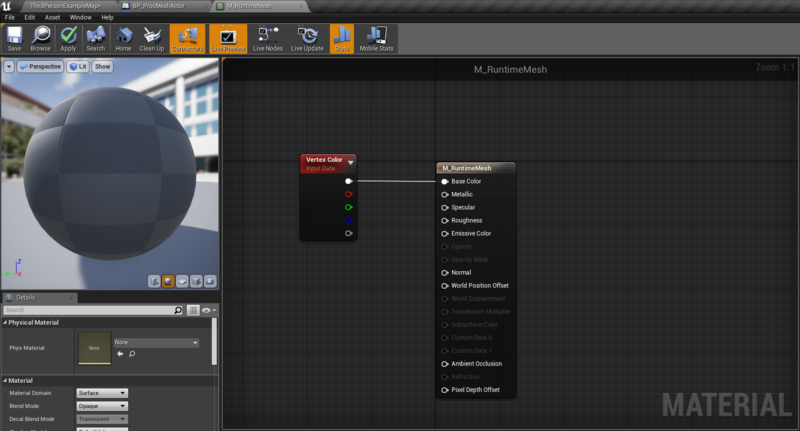 In this post we’re going to see how to create a simple procedural mesh during runtime in Unreal Engine 4. While there are several components and plugins (most notably RuntimeMeshComponent by Koderz) that you can use in order to create procedural meshes in UE4, I’m going to use the official Procedural Component that is provided with the engine. Note that when you’ve added the dependency, you have to regenerate your project’s visual studio files via the .uproject file, otherwise when you attempt to access the necessary header files your project won’t be able to compile. Moreover, make sure to include the “ProceduralMeshComponent.h” file in your includes. // Set this actor to call Tick() every frame. You can turn this off to improve performance if you don't need it. For more information regarding the facing of your triangles check out this post on UE4 answerhub. 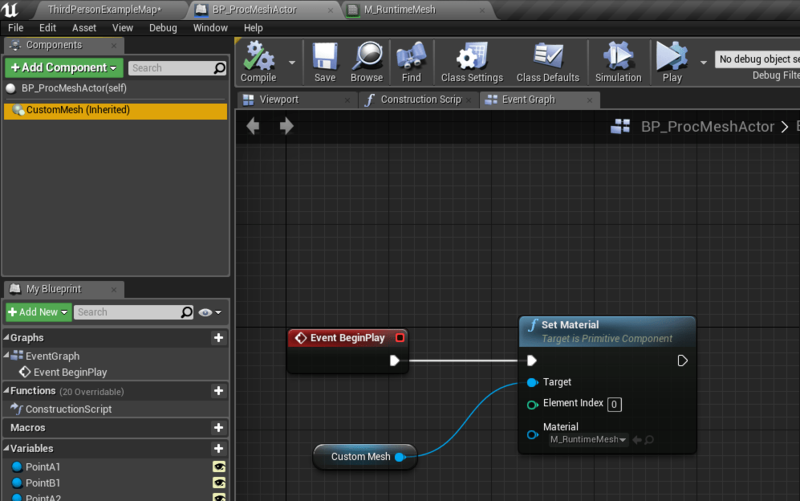 Note that the BP_ProcMeshActor is a Blueprint based on the C++ class we’ve created above. May be alot to ask for but could you show us how to make objects transparent between camera and player character? Hi, do you know if there are any advantages to using procedural mesh over custom meshes?